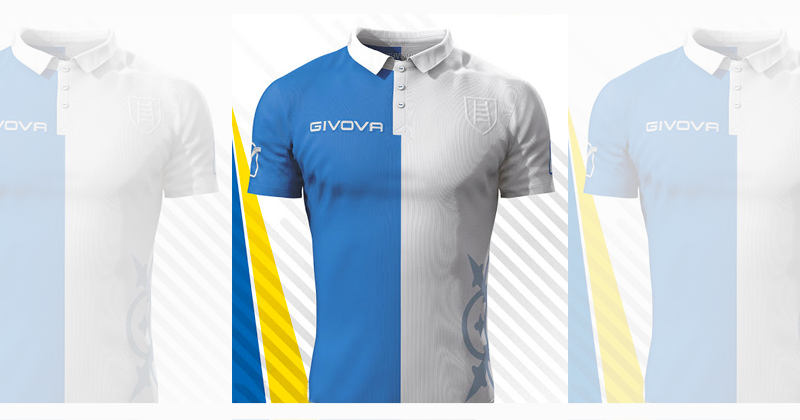 ChievoVerona are in trouble again, but amongst all the chaos over the years they have had some beautiful shirts. The first managerial casualty of the 2018/19 Italian football season has occurred, and it shouldn’t be a surprise to anyone. Serie A club Chievo are struggling, sitting on a depressing -1 point having only picked up 2 points in their first 8 games, on top of a 3-point deduction they received for financial mishandling. Whilst its currently all doom and gloom for The Flying Donkeys (i mussi volanti) lets at least take a look at some of the lovely kits they’ve displayed for us in since their promotion to the top division in 2001. It's all about that badge. Image from Classic Football Shirts. In their second season ever of top-flight football, Chievo came out with an away kit that started turning heads immediately. Half and half design, but full quality. Image from Classic Football Shirts. 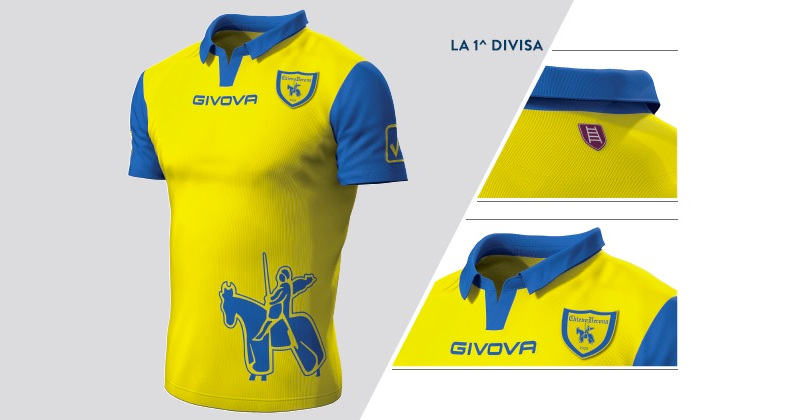 A season later, there was a new look for Chievo FC. Replacing the previously seen baby blue away kit, we have a much different but still respectable design. Half white and half dark navy, Lotto’s work gives the kit a stand out look, and the contrast of the sleeves & collar against the body of the shirt helps it to stand out in the memory of the fans. If the Scala coat of arms was on it, it would truly help this kit go down as one of the best. 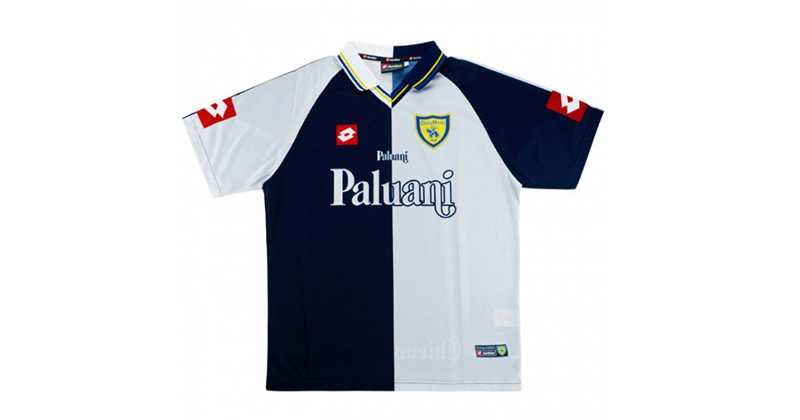 When you think Chievo, you think this shirt. Image from Givona. Finally, we get to the first home kit of the article. Whilst the home kits of the last 10 years were good, this was the first to really nail down what works on a Chievo home shirt. The blue knight at the bottom of the shirt already makes it incredibly unique, and the blue trim on the sleeves and collar mix together to create the first truly classic AC Chievo home shirt. As we’ll see later, only one home kit since has produced something even more special. The wonderful badge returns. Image from Givona. 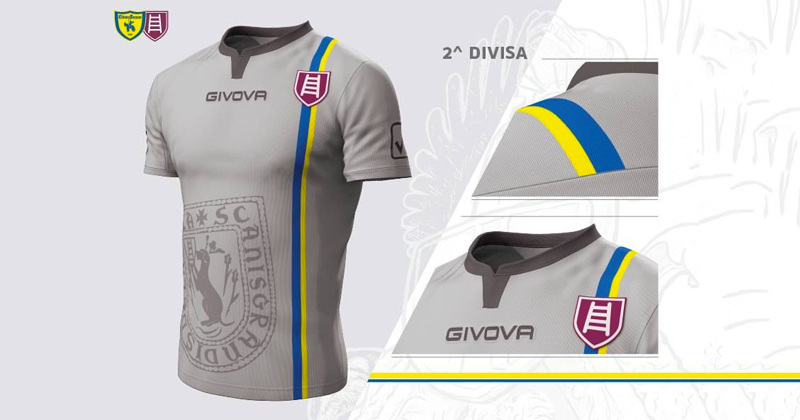 By far the best kit we’ve seen so far from Chievo Verona, and it’s a stunner. The blue and yellow stripes that run down it keep the identity of the team, which is needed given the otherwise ambiguous design. The grey works perfectly with the chocolate trim, and the print of the Veronese art with Latin script makes this a truly historic and beautiful away shirt. The icing on the cake is the addition of the Scala coat of arms, now a staple of Chievo away kits. The badge is still there. Image from Givona. Here we are. 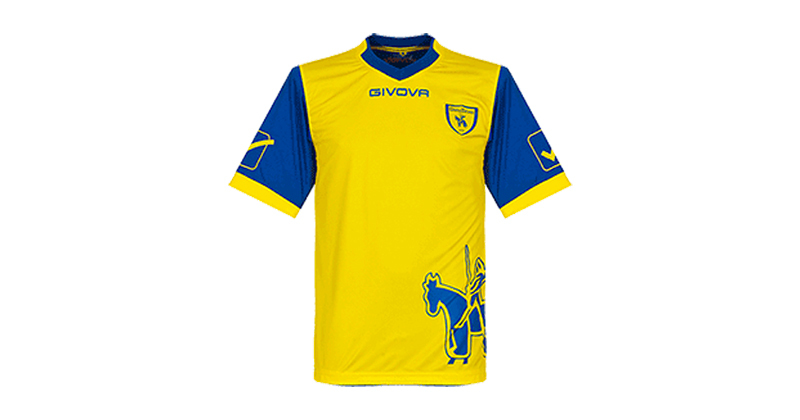 The perfect Chievo home shirt. The knight is filled blue (something which changes based on the season), and the colour and sleeves are slick and tidy. It sticks with the yellow and blue requirement but does so in the best fashion. Such a simple, and yet elegant design. Majestic. Nailed it. Image from Givona. The third kit of Italian teams usually brings something special to the team, and this is no exception. This beautiful shirt is half white and half light blue and pulls off real class with these colours. 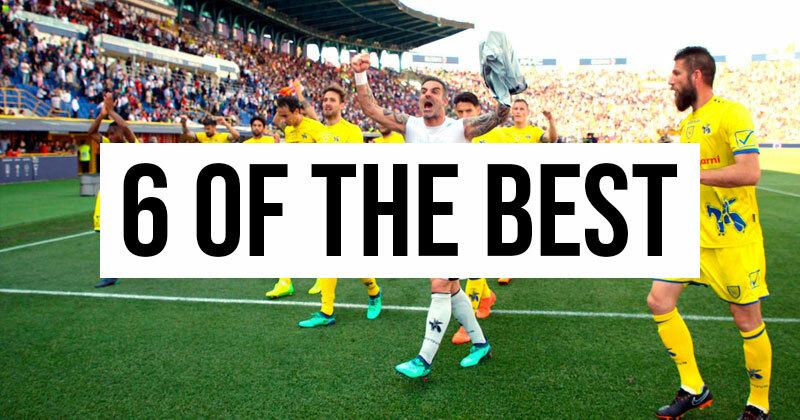 Not only are they perfectly complimentary, but the grey rose on the white side keeps the theme of the important history of Verona in place on the shirts. Finally, we have to mention the all-white Scala coat of arms, fitting in perfectly with the overall style. If you’re looking for the best deal on a Chievo shirt, or any other team shirt from Serie A, keep it here at FOOTY.COM. We’ll save you hours of time trawling the internet, by comparing prices from hundreds of retailers all in one place. We’ll even include any voucher codes, so you know you are getting the best possible deal.